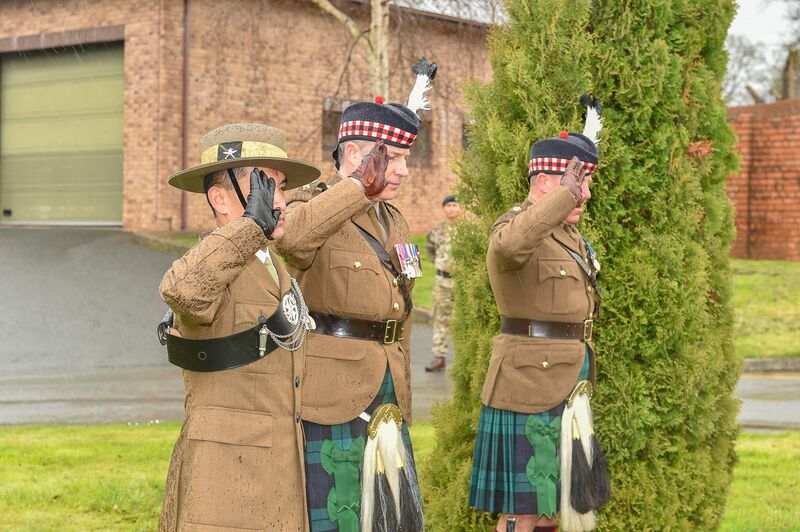 Gurkha Wing (Mandalay) celebrated its Battle Honour, Mandalay Day on Monday, 20th March in Infantry Battle School, Brecon. 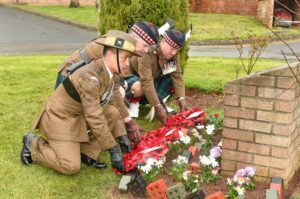 Temple Service was organised in the morning followed by a remembrance parade. All Wing members including Lt Col Rennie MBE Commanding Officer, Infantry Battle School were present in the parade. Long Service and Good Conduct medal were also awarded at the parade by the Commanding Officer to Sergant Nudan Gurung (2 RGR), Sergeant Deepak Rai (Queen’s Gurkha Engineers), Corporal Tejendra Thapa (1 Mercian Regiment) and Lance Corporal Naresh Rai (2 Royal Gurkha Rifles) for their exemplary conduct and the loyal Service to the Crown throughout their military career. The fall of Mandalay on 20th March 1945 was the culmination of an advance of 400 miles against ever increasing opposition which had carried 19 Indian Division from the banks of the Chindwin to the walls of Fort Dufferin. Both 1st and 4th Battalions of the 6th Gurkha Rifles served in 19 Indian Division during this period. The climax of the battle took place nearly 50 miles north of Mandalay at the little village of Kyaukmyaung where, on the 14th January 1945, 19 Indian Division established a bridgehead on the East bank of the Irrawaddy. By good fortune the bridgehead was established on the dividing line between two Japanese Divisions which accounted for the 24 hours respite given the very small bridgehead garrison. On the night of the 15th January, the 1st Battalion in assault craft crossed the 800 yards wide river, and at dawn on the 16th broke out eastwards towards the feature of Minban Taung two and half miles away. This hill with another known as ‘Pear’ dominated the chosen Divisional crossing place, and their early seizure and retention was vital to the Commander’s plan. The Japanese reaction to the crossing was violent and for five weeks, all the enemy’s resources were flung into the battle to destroy the bridgehead. The Japanese Commander appreciated correctly that failure to do so would cost him Northern Burma. The Japanese deployed ever increasing forces against both Battalions. The enemy attacks were supported by concentrated and skilfully handled artillery and were pushed home with fanatical courage. Behind the hand to hand fighting however the build-up into the bridgehead continued and on 22nd February 1945 the Division supported by Armour, broke out Southwards along the East bank of the Irrawaddy. Both Battalions played a leading part in the break out and in the subsequent breakthrough in the Japanese rear areas. On several occasions both Battalions had to break desperate resistance by the enemy troops fighting from hastily prepared positions, but the momentum of the breakthrough was maintained and carried the Division through to the suburbs of Mandalay. For a week the Japanese defended the town and both Battalions had their first experience of street fighting. The fall of Mandalay Hill, the monastery overlooking the town, sealed the fate of Mandalay and on the 20th March 1945 the historic capital of the old Kingdom of Ava was liberated. With the fall of Mandalay, 4 Military Cross (MC), 2 Indian Distinguished Service Medal (IDSM) and 15 Military Medal (MM) were awarded.